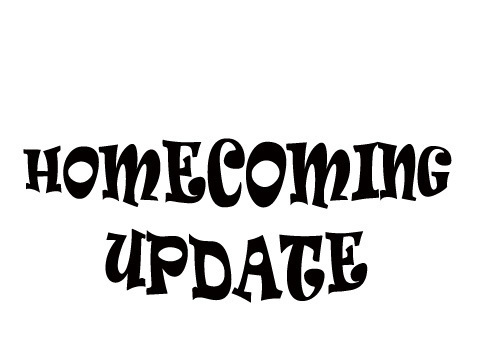 Inclement weather predictions will force Tecumseh’s Athletic Department to make several time changes for Friday’s homecoming activities. Kickoff between the Tecumseh Savages and the Tuttle Tigers has been changed to 6:30 pm. Coronation ceremonies for football queen will take place in the Alumni Center and will begin at 5:45 pm. Seating will be limited so fans are urged to arrive early. There will be no admission charged to attend the coronation ceremonies only. However football fans will be able to purchase game tickets at the Alumni Center doors. This will allow those wanting to watch the coronation as well as the game to enter the stadium quickly in order to make it for kickoff. Tickets for the game can also be purchased at the stadium gate. In addition the Jr. Class BBQ dinner, the largest class fundraising project for the year, has been moved indoors to the Alumni Center. Fans are invited to eat and watch the coronation. Tickets are $5 for the meal and include a large pulled pork sandwich, chips and cookies. Proceeds for the project are used to cover prom expenses. Doors open at 5 pm. The serving line will stop momentarily to allow students to watch the coronation ceremony and then resume and continue to serve until 7 pm. Athletic Director Jeff Shafer, Student Council Advisers Toni Henry and Lori Lundgaard and members and sponsors of the Class of 2020 want to express sincere appreciation to the community for continuing to support students even under these last minute schedule changes.